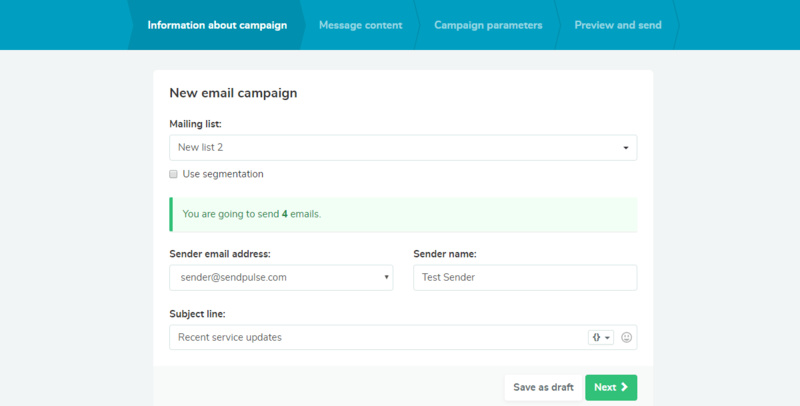 It’s very easy to send bulk emails in SendPulse. 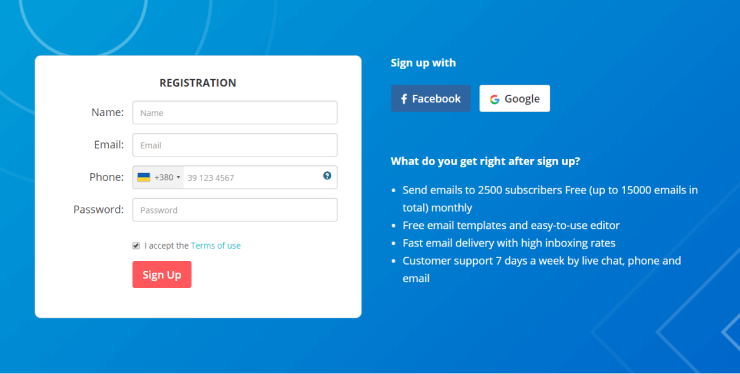 After the registration, you will be able to enjoy all the benefits of free pricing plan, such as sending 15,000 emails to 2,500 subscribers using professional instruments. 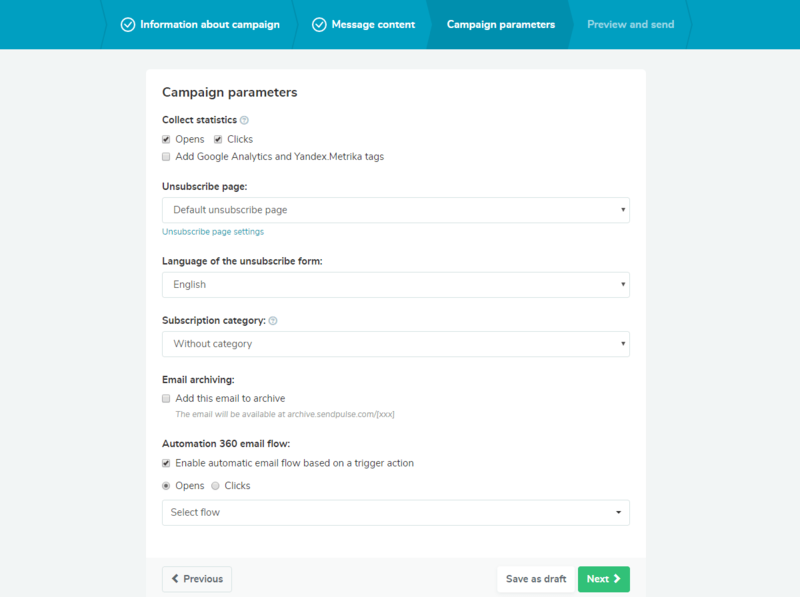 Follow 3 automatized steps to create and send an email campaign. Choose a free pricing plan on this page. Click “Create a campaign” on your dashboard. Mailing list. Select the necessary mailing list for your campaign. If you still don’t have it, go to “Mailing lists” and create a new one. Use segmentation if needed. Sender email address. Specify your address, or select from the list in case you have several ones. Sender’s name. You used this name while registering the sender’s address but you can change it. Subject line. An interesting subject line calls your subscribers to action and makes them open the email. Personalization is available, read more here. 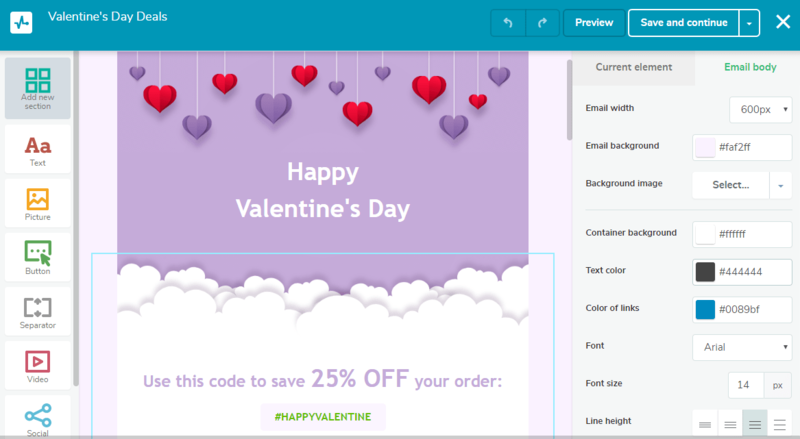 Import your email template, select from the existing email design templates or create one with HTML editor. You can personalize both the text of an email and the subject line. 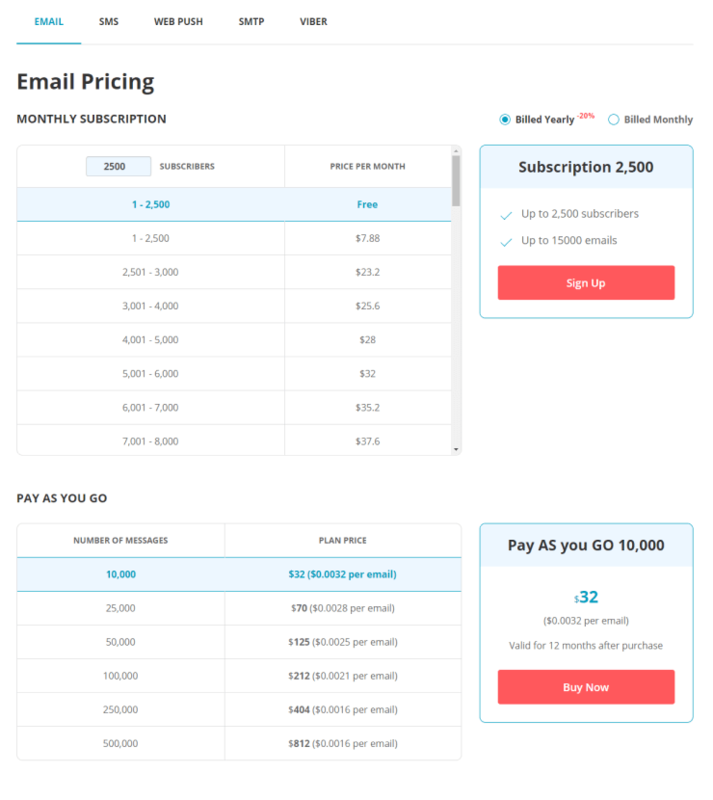 Select options to collect statistics, link the unsubscribe page in the required language to the email and add a subscription category. You can also enable adding the email to the archive to have access to it even after deleting data from your account. Set up an Automation 360 email flow to automatically launch a series of emails upon trigger actions. Check all the data: mailing list, sender email address, subject line. Click on the template image in “Message content” to preview how the subscribers will see your email in their inbox. You can send the email now or set the sending time. 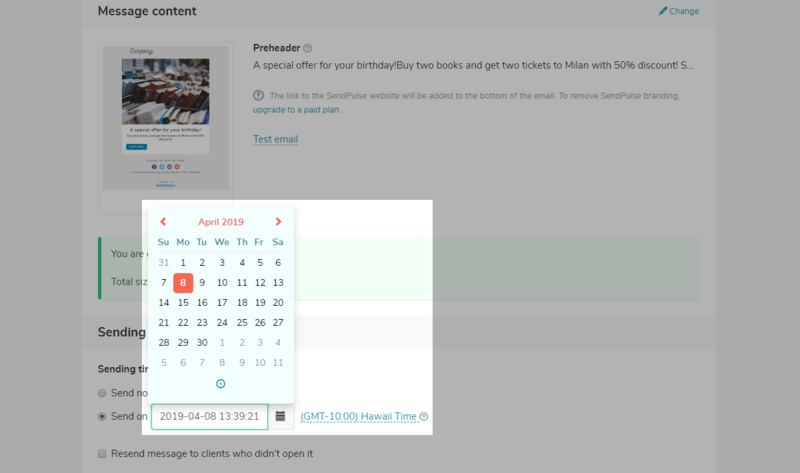 SendPulse offers a new feature – resend to unreads. Within the free pricing plan, it is possible to resend message by email only, all you need is to create a new subject line – more interesting, intriguing and eye-catching, set the sending date and time, and the service will do the rest for you. The email campaign is sent! You can choose to test email sending to make sure that your subscribers will receive exactly what you want. The email will be in the sender’s inbox. Ability to invite users into your account. Rate this article about "How to send bulk emails free?"